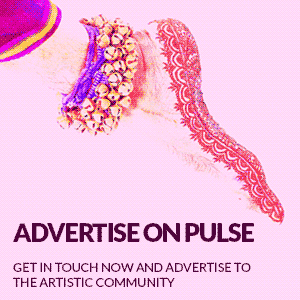 With this website we have created a digital space to assemble and project the excellent work that is driving South Asian dance and music more and more out of the margins into the mainstream of British arts. I have seen three quality performances, and the year has barely begun: #Je Suis, The Troth, and the concert Aruna Sairam and Back to the Blues. The more an art form mines the source of its origins, the greater is its veracity. Akademi’s production of The Troth for example, currently touring, has taken a simple story written about a soldier in the Punjab at the time of the First World War. It has a very specific setting in time and space, so that the question in an archaic tongue, ’Are you betrothed?’, gives a poignancy to unrequited love that we in very different times can understand. Much of the success of the piece lies in the reality of the conditions of the soldiers shown in the war footage shared by the Imperial War Museum. However, equally, the injection of dynamic dance, kathak and folk based but extended and fused with physical theatre which director Gary Clarke brings, makes The Troth compelling viewing. Similarly Soumik Datta, the young sarod player who partnered Aruna Sairam, the living legend of Carnatic music, had declared his intention of fusing the traditions of Carnatic, Hindustani and jazz in a concert promoted by the Bagri Foundation. In order to deliver that promise, he realised he would have to bring it closer to home, to find an ‘Indian blues-type’ tradition. So folk music, work songs and bhajans sung on pilgrimage gave him the entry point to use the hugely talented trio of musicians (look out for Ken Hunt’s review), jamming with Sairam’s vocals and his melodic base line and riffs on the sarod. A very satisfying evening for most present. Aakash Odedra did something different: his piece, although inspired by recent events in Europe and the Middle East, tries to go beyond the boundaries of space and time. It is for the oppressed of any country at any period of time. Two years of research with a group of Turkish contemporary dancers and the intense period spent in rehearsal (the last phase was at a University in Abu Dhabi) – two weeks of ten-hour rehearsals – helped shape a dance and physical theatre piece of fine complexity: multi-layered structures, dramatic lighting, shifting scenarios and choreographic experimentation (read the review by Magdalen Gorringe). Lou Cope, whose name crops up as dramaturg both in The Troth and in #Je Suis, must have been an important collaborator. I have to declare that Akash Odedra, if he continues to develop as a choreographer, is set to be the next Akram Khan (I am sure this would please his mentor). This quality of work makes a good beginning to the Pulseconnects website. We are Kadam, a small outfit driven by our love and passion for the arts and South Asian music and dance. We can only succeed with the help of our SADAA partners, whose logos we display in About Us, and you the reader. 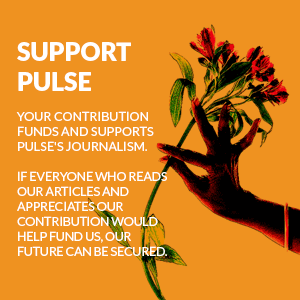 We need your buy-in, via donations which we will not be shy to ask for, your news and responses. We are creating a Readers Section which will publish your news and views. We invoke the blessings of Ganesha for auspicious beginnings to www.pulseconnects.com.